An invisible glove of beauty that takes care of the entire hand – the palm, the back of the hand and the nails. Hands can be particularly damaged and painful when exposed to the agressions of everyday life, such as the weather, water, and the tasks we perform with them. 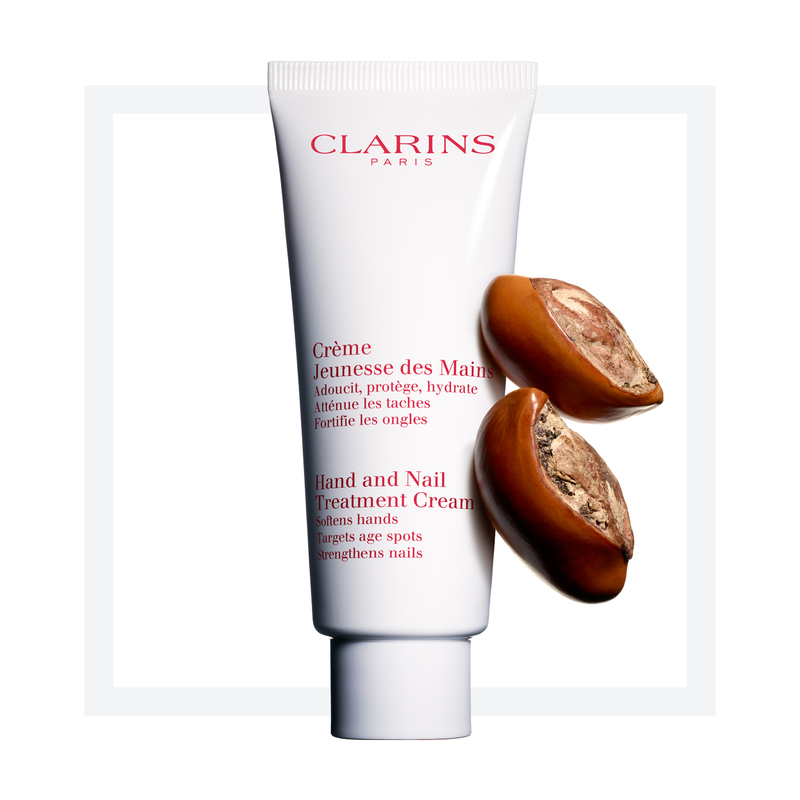 So take time to care for them with Clarins professional, emollient-rich moisturizing hand cream—with soothing Sesame Oil and fortifying Japanese Mulberry. The moisturizer forms an invisible protective “glove” that shields hands from the elements, keeping skin smooth and silky and minimising signs of ageing. Softens and comforts chapped, irritated and sore hands, and brings moisture relief to dry skin on hands. Helps strengthen nails and condition cuticles for naturally clean, soft and youthful-looking hands. protect from climate damage, nourish and smooth.